On Wings of Eagles: Fear or Faith. There are some crazy fears that people have. Octophobia - Fear of the figure eight. Porphyrophobia- Fear of the color purple. Alektorophobia- Fear of chickens (I do not have this one). Chronomentrophobia- Fear of clocks. Arachibutyrophobia- fear of peanut butter sticking to the roof of your mouth. Hylophobia-fear of wood. Hippopotomonstrosesquipedaliophobia- fear of long words. 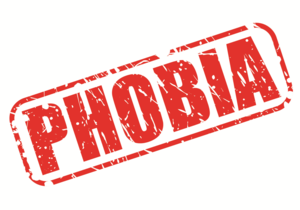 Homilophobia- Fear of sermons. Lutraphobia- Fear of otters. And the list goes on and on. These strange fears might seem funny to some of us but fear is a very real thing for people to deal with. Fear can grip hold of a person and hold them back from living the life God has planned for them. You may be facing fears of your own, fear of the future, of a new school year or fear of the dark. With God on our side we don’t need to live in fear. He hasn’t given us a fearful spirit on the inside, he’s given us a spirit of power and love! The antidote to fear is faith. Fear and faith can’t be in the same place at the same time. Faith in God defeats fear! Dear Lord, Thank You that You put in us a spirit of faith not fear. Help us to live with boldness and love. In the Name of Jesus, Amen.